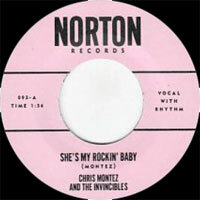 Chanteur Rock 'n' Roll et Pop US d'origine Mexicaine né Ezekiel Christopher Montanez, le 17 Janvier 1943 à Hawthorne (Californie). 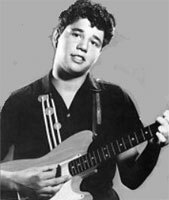 One of the leading rockers in the Los Angeles Hispanic community after the tragic death of Ritchie Valens, Chris Montez later mellowed out under the tutelage of Herb Alpert and tallied several MOR-style hits. 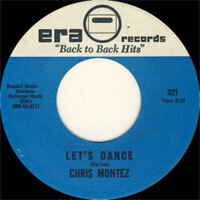 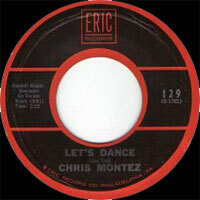 His first smash was on Monogram in 1962, "Let's Dance." 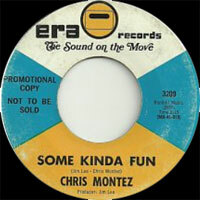 It was a grinding rocker with roller-rink organ. 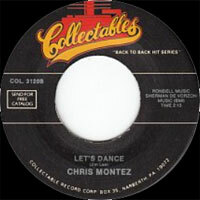 Montez changed his attitude after signing with A&M. 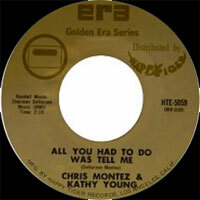 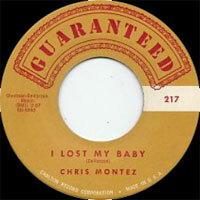 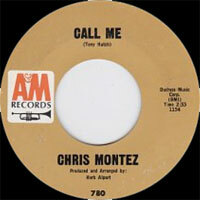 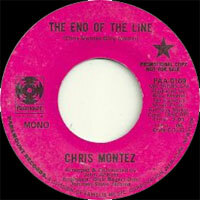 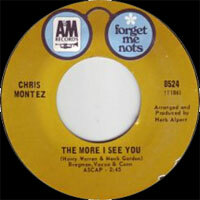 with Alpert producing, Montez adopted an easygoing approach on "Call Me," "The More I See You," and "Time After Time," all solid sellers in 1966. 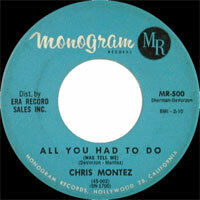 The formula quickly faded, however, and his final chart entry came the following year with "Because of You."